Six appearances for the US National squad (1991-92); Two-time Division 2 All-American at Southern Connecticut State University (1988-89); led the Owls to the 1989 Division II Title scoring both goals in a 2-0 championship victory; played for the Boston Storm and New York Fever of the USISL; played MLS for New England Revolution (1996); New York/New Jersey Metrostars (1997); Kansas City Wizards (1998-99) and Columbus Crew (2000-01); one of the top goalscorers in Connecticut high school history while playing for Kaynor Technical School in Waterbury. 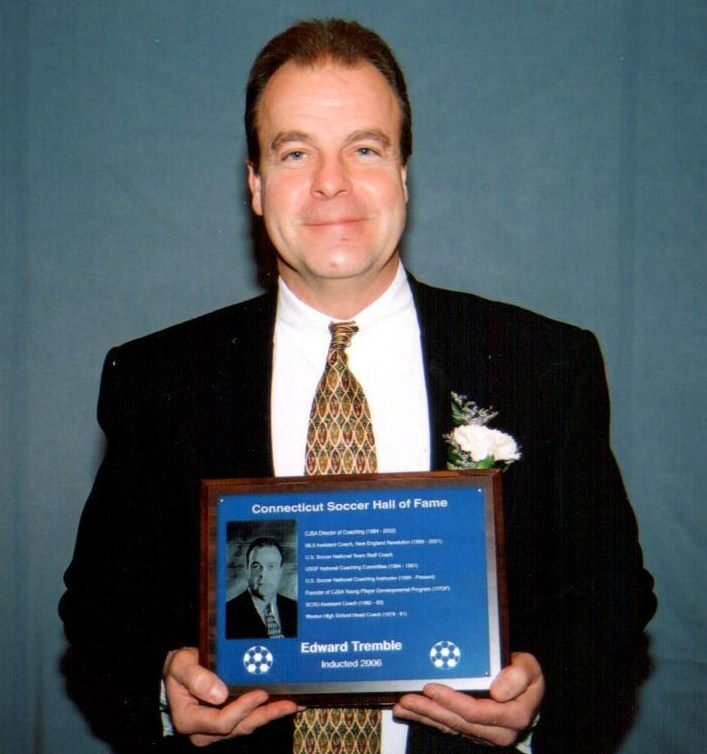 Served CJSA as President for ten years (1993-2003) and Registrar (1991-93); service to U.S. Soccer (1995-present) includes USYSA Region 1 & U.S. Soccer Appeals Committee, Constitutional Revision Committee, USYSA Youth Soccer Mediator and Dean of Soccer Learning University; U.S. Women’s Cup Tournament Board Member (1993-97); started soccer career as Secretary of West Haven Youth Soccer League (1984-2000) and South Central District Registrar (1986-91). 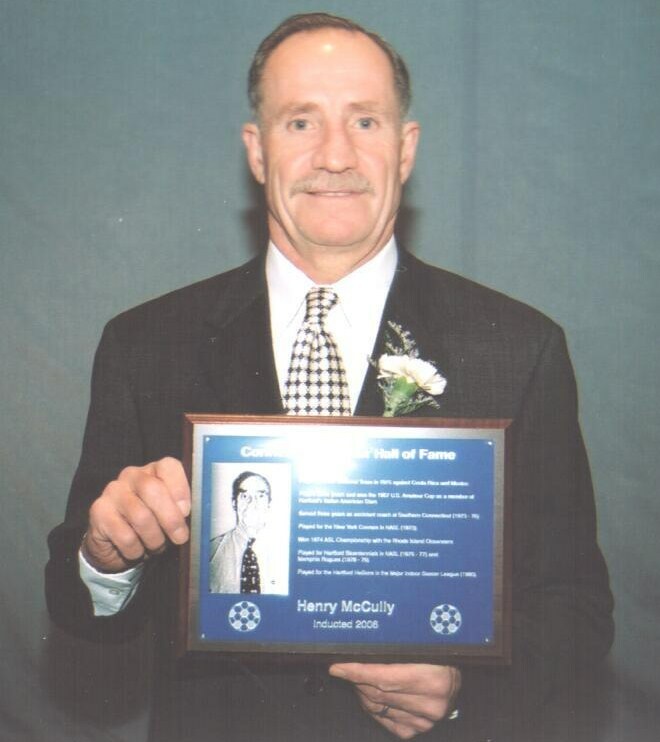 Coached soccer for 33 years at Brien McMahon High School, Norwalk, and compiled a 317-143-43 record; nine FCIAC championships, two Class LL State Championships and two runner-up finishes, one Class L runner-up; CHSCA Coach of the Year (1975); NHSAA National Coach of the Year (1983); FCIAC Soccer Committee Chairman (1980-81); NHSAA Soccer Chairman (1974-77); CHSCA Hall of Fame (1989); Thomes J. Monahan CHSCA Honor Award (2004). 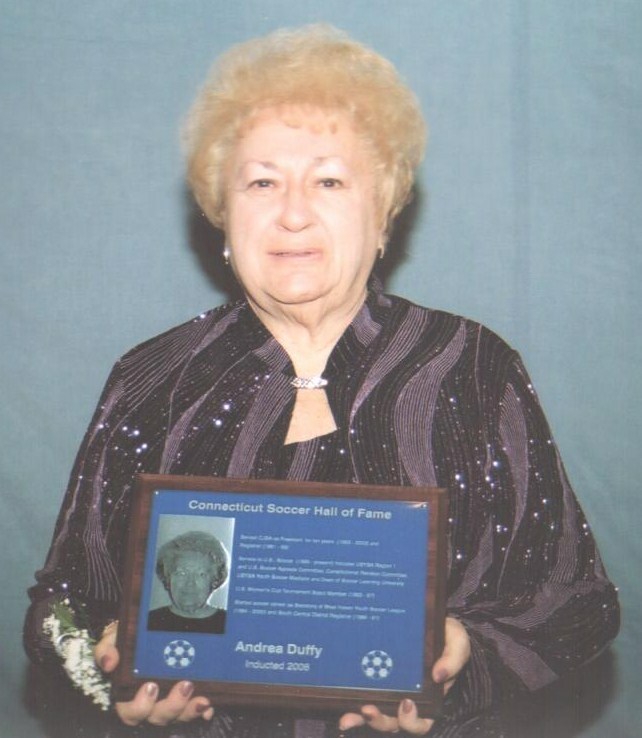 The only coach in the history of the Connecticut College program, since 1971 he has compiled a 249-190-34 record; eight post-season appearances including two Eastern College Athletic Conference (ECAC) New England Division III Championships (1992 and 1996); U.S.S.F. 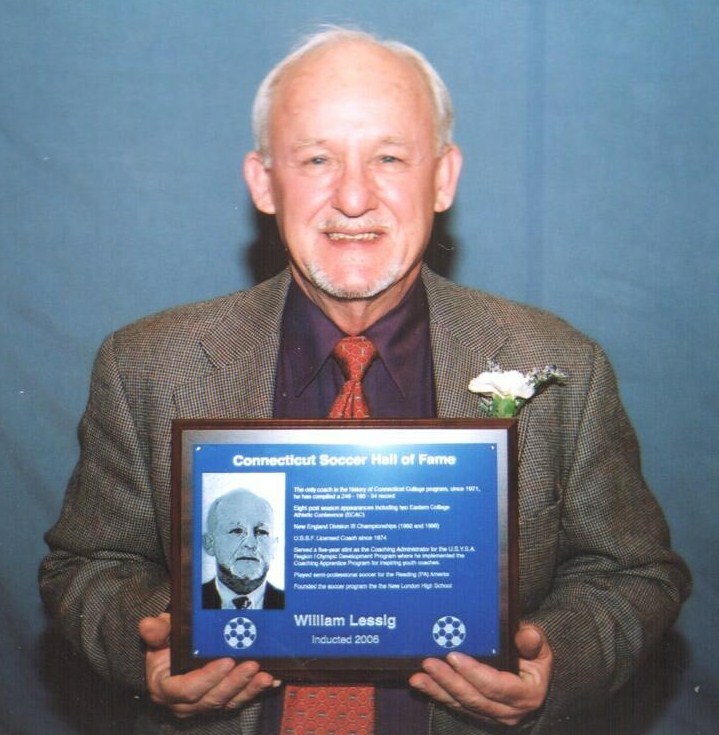 licensed coach since 1974; erved a five-year stint as the coaching administrator for the U.S.Y.S.A Region I Olympic Development Program where he implemented the Coaching Apprentice Program for inspiring youth coaches; played semi-professional soccer for the Reading (PA) Amerks; founded the soccer program at New London High School. Starred at Portland High School from 1939-42 and captained team junior and senior year; led team to 19-1-3 record in 1941& 42 and won 2 Central Valley Conference championships; a prolific scorer and tough defender who was one of the premier players in the state during his era. Led team to last undefeated season in 1942. 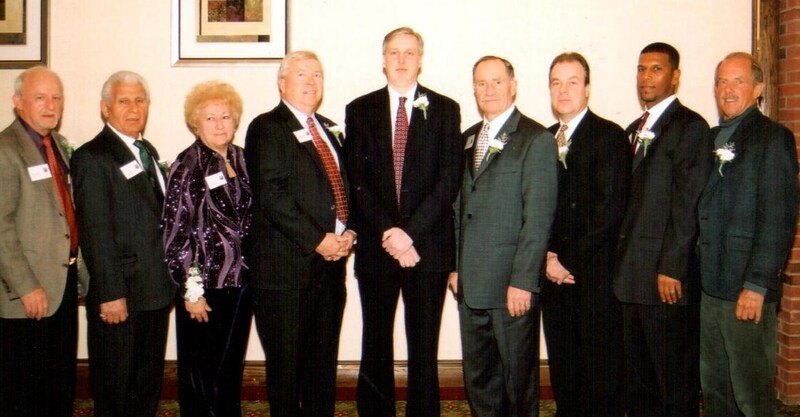 Local, state, and high school referee, instructor, and assessor; President of the Connecticut State Referee Association (1982-1996); State Referee Adminstrator (1998-2002); Connecticut Referee of the Year (1992, 1995); SRC Instructor of the Year (2004); Avon Soccer Club coach; refereed in Connecticut in four decades (‘70’s-00’s). Played three years and won the 1967 U.S. 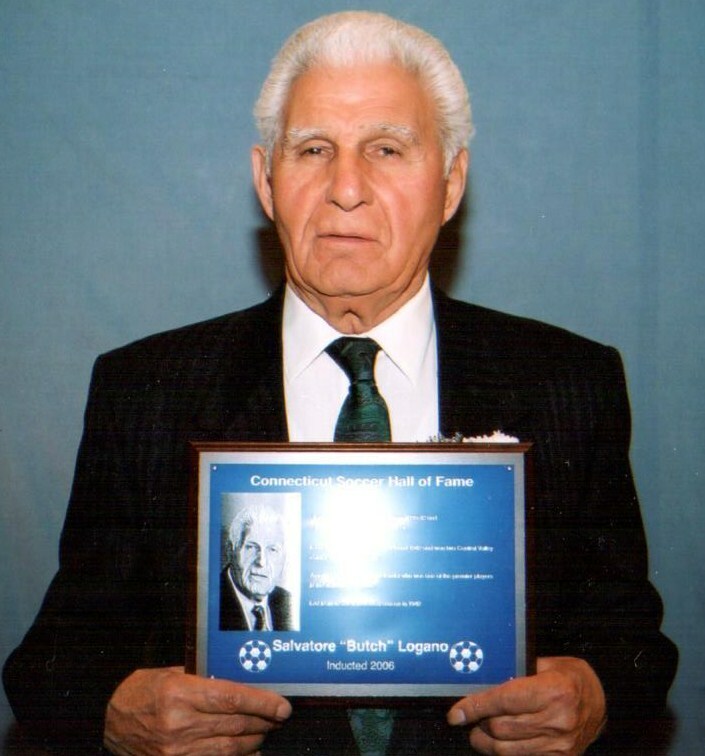 Amateur Cup as a member of Hartford’s Italian American Stars; served three years as assistant coach at Southern Connecticut (1973-76); played for New York Cosmos in NASL (1973); won 1974 ASL championship with the Rhode Island Oceaneers; played for Hartford Bicentennials in NASL (1975-77) and Memphis Rogues (1978-79); played for the Hartford Hellions in the Major Indoor Soccer League (1980); earned two caps for the U.S. national team against Costa Rica & Mexico (1975). 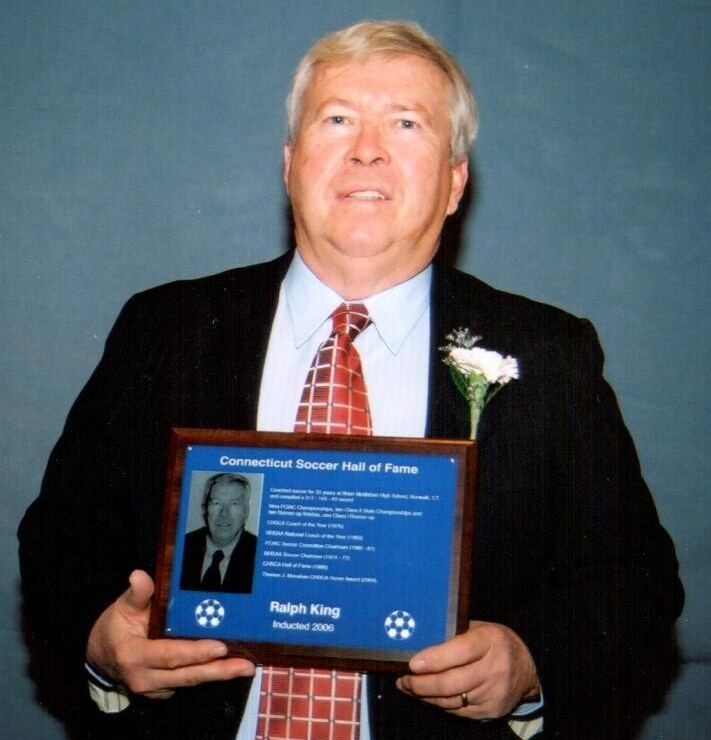 Editor and publisher of Soccer New England (1982-1997), one of the few viable private soccer publications in the United States during that period. 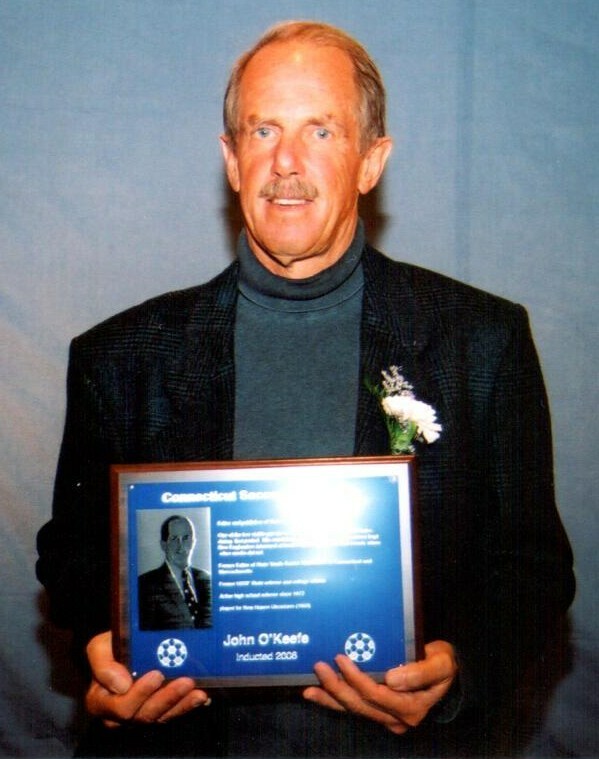 His consistent coverage of all levels of soccer kept New Englanders informed of local leagues, personnel, and events when other media did not; former editor of state youth soccer newsletters in Connecticut and Massachusetts; former USSF State Referee and college referee; active high school referee since 1972; played for New Haven Ukranians (1960). 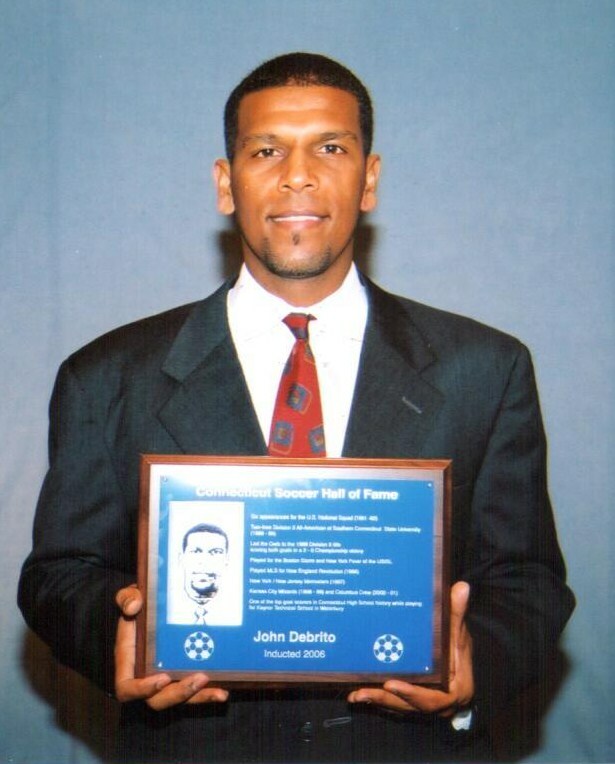 CJSA Director of Coaching (1984-2002); MLS Assistant Coach, New England Revolution (1999-2001); U.S. Soccer National Team Staff Coach; USSF National Coaching Committee (1984-1991); U.S. Soccer National Coaching Instructor (1990-present); Founder of CJSA Young Player Developmental Program (YPDP); SCSU Assistant Coach (1982-83); Weston High School Head Coach with 3 state final appearances (1979-81).